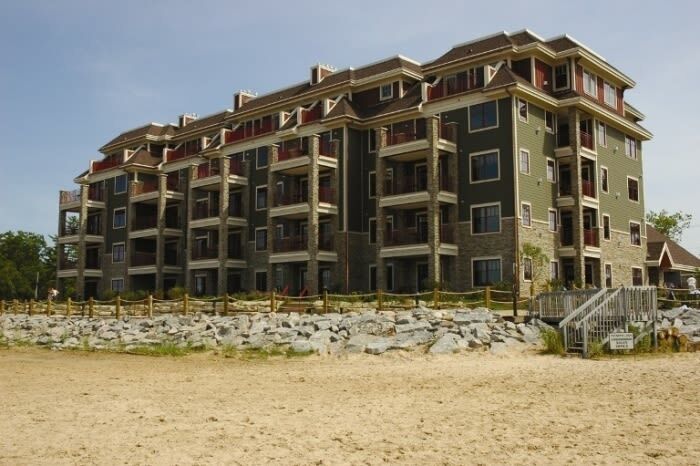 Spacious 1, 2, and 3 bedroom luxury condominiums. Set on the East Grand Traverse Bay shoreline. Direct views of the beach from every residence. Arts & Crafts era architecture, furnished with an "Up North" flair. Fully equipped gourmet kitchens, private balconies, fireplaces, cable, flat screen TV, DVD, WiFi, washer/dryer in every unit, air-jetted tubs, adult and children's activities. Completely smoke free. Daily, weekend, and weekly rates.